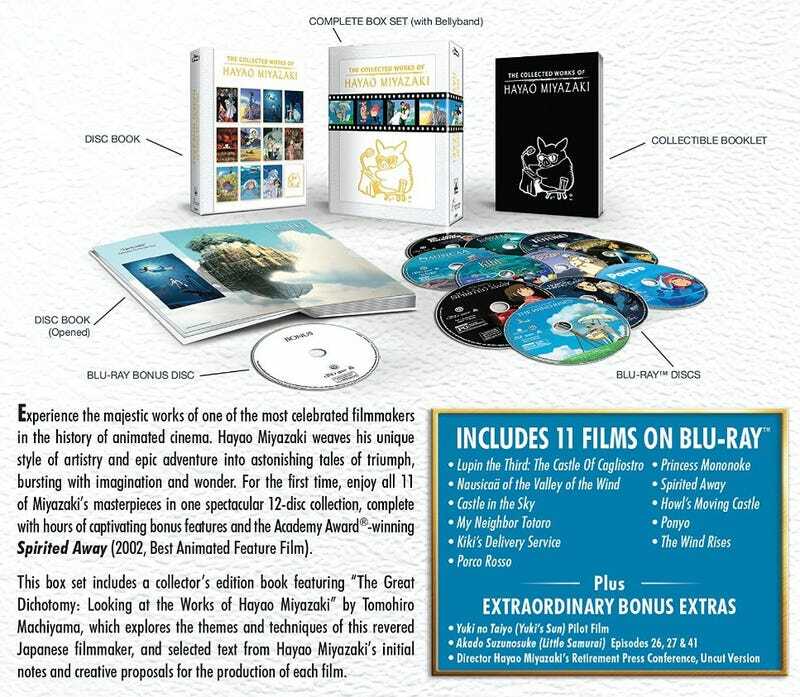 In case you were wondering whether The Collected Works of Hayao Miyazaki is a cheaper way to get all the movies it includes on Blu-Ray, at current Amazon prices, it is. The Collected Works also includes some other stuff you won’t get if you order them separately (see image above) while if you order them separately, you’ll get individual boxes for each film—unfortunately they don’t seem to all have the same packaging, which irritates those of us with slight OCD in the audience! I already own four of the films on BD, so this is all kind of moot for me, but for anyone wondering who actually does want all these in their BD collection, there you go!